Welcome to our online registration portal! Please log in or create an account. To register, click on "Enroll in a Class," and then select the appropriate session from the drop-down box. Click on the gear icon to filter by age, day, class style, etc. 2018-2019 - September 2018 through our end-of-the-year showcase on Sunday, June 9th. Registration open through January 31st for level 1 classes and through February 28th for all other classes. Unable to register? Please note that most of our camps and a small portion of our classes are hosted at Kinetics Dance Theatre but are offered and run through Howard County Recreation and Parks. HCRP classes are marked as such and registration can be accessed by following the HCRP registration links from our website. 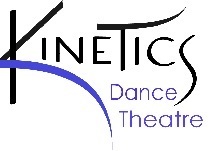 Already Registered with Kinetics Dance Theatre? New to Kinetics Dance Theatre? If you have taken classes before with Kinetics Dance Theatre and you have given us your e-mail address, try the forgot your password link. If not, please contact the office to give us your e-mail address and to set your password.